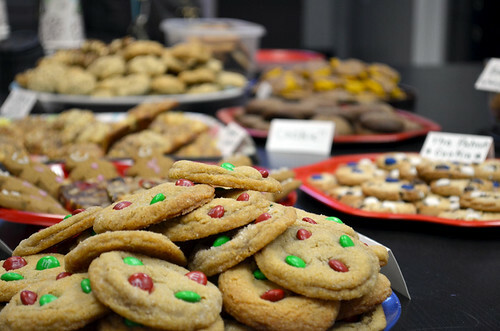 What better way to get us all in the holiday spirit, than a massive cookie party and exchange! Let's indulge, and share all of our most scrumptious and festive home-baked treats with one another! All are welcome to attend the Light Grey Art Lab/Paper Bicycle Annual Cookie Party this Saturday, December 14th, from 12pm-3pm. We will have holiday music, tons and tons of cookies and goods, as well as a cookie contest for the most creative and delicious recipes! You can see more information and claim your cookie type on the facebook event page here. Or just drop by with your favorite lemon drops, hamentashens, peanut butter, pumpkin spice cookies or gingerbread men! Make sure you also bring a container to take a few home!